Caliber offers a full line of construction services and has successfully completed a variety of institutional, industrial, commercial, and design/build projects. Caliber Construction is specialized in residential and commercial new builds and renovations. We take pride in our accomplishments and supply the consumer with a quality built project from conception to completion. We not only work in the community, but Caliber Construction strives to be a “part” of our community. Every effort is made to use skilled local subcontractors, which benefits our community and keeps the local economy a big part of our ongoing construction projects. When possible, we always try to reinvest in our local community. 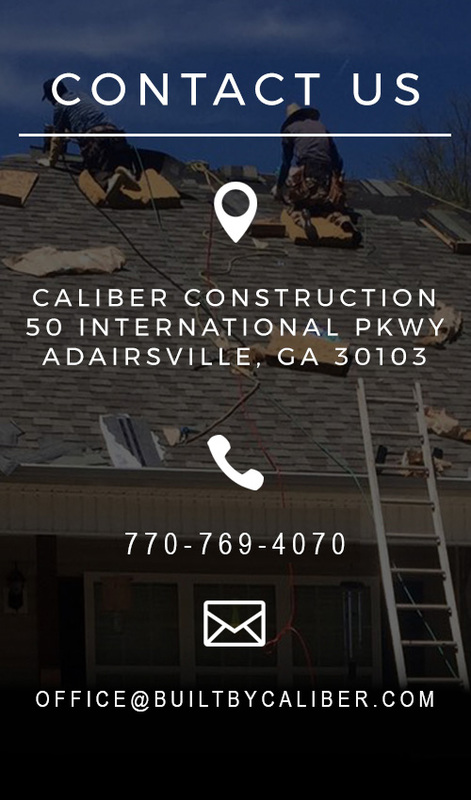 Caliber completes construction projects all across the North Georgia including Tennessee and Florida. Local connections to subcontractors and suppliers throughout the region have created a foundation of mutual trust built upon the expectations of quality and safe practices. Additionally, these relationships lead to more competitive pricing options to clients. Caliber Construction commits to excellence and quality craftsmanship on every project. Caliber incorporates the highest quality materials, paired with clearly defined strategies, procedures, and standards to meet the needs and expectations of every client.